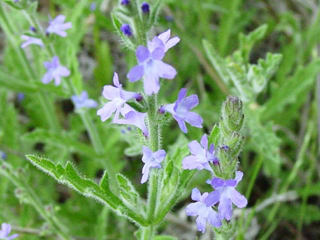 Conditions Comments: The common name for this vervain refers to its gray foliage, which is right at home in a short meadow garden or as an accent in a small planting, such as in a pot. Grows well with four-nerve daisy, prairie fleabane, and winecups. Trim the old flower stalks to keep the plant blooming. Needs good drainage.